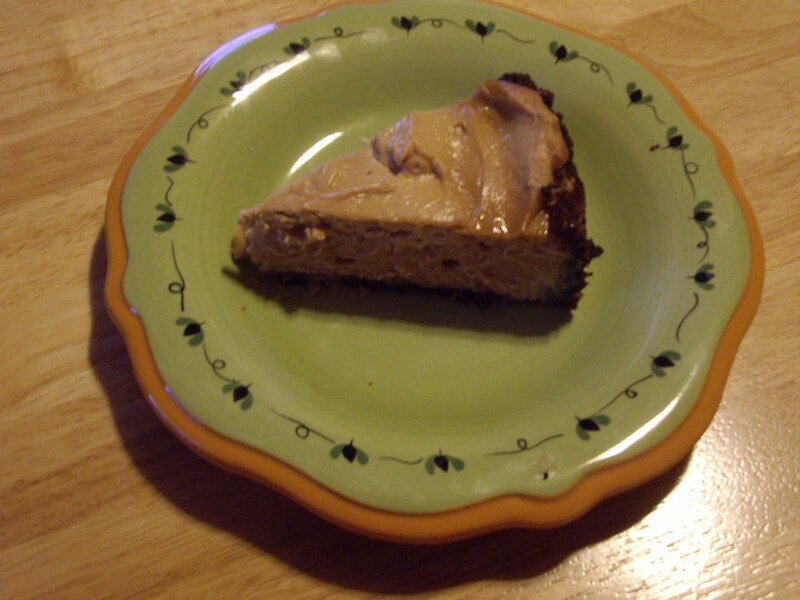 Brownie peanut butter cheesecake is a very decadent dessert. It is rich and just a small slice is enough to satisfy you. 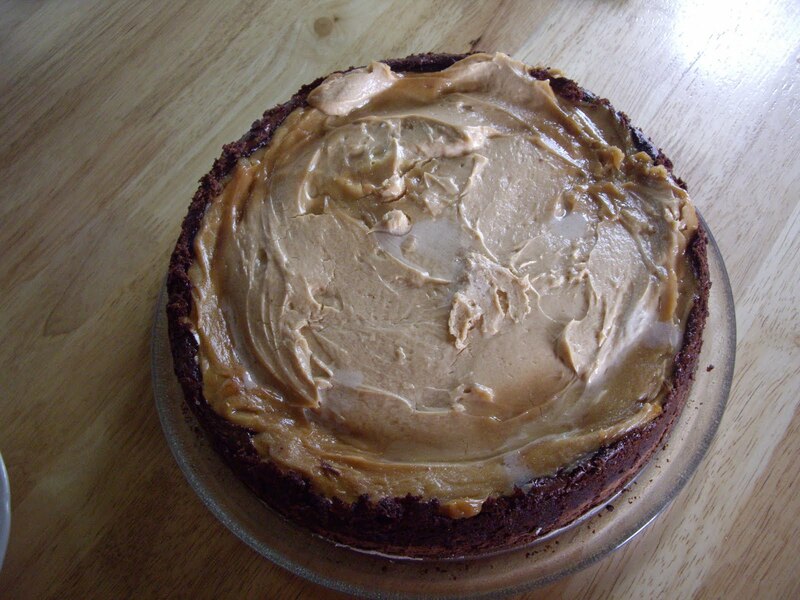 The filling and topping is peanut butter and the crust is made of brownie batter. You will need a 9″ spring-form pan that has been greased and floured. 3 oz semisweet chocolate, grated or chopped. Melt the chocolate and butter in a double boiler or in the microwave. Set aside. Combine the flour and baking powder. Set that aside. Beat the eggs until thick and lemony colored.Beat in the brown sugar. Mix in the chocolate and the chocolate or vanilla extract. Stir in the flour/baking powder, just until blended. Spread 1 cup over the bottom of the prepared pan. Put the rest of the batter in the fridge to chill. Bake the bottom crust for 15-17 minutes until firm. Take out of oven and refrigerate for 15-30 minutes. In a large bowl beat the cream cheese and brown sugar until smooth. Beat in the eggs and sour cream. Take the batter and pan out of the fridge. Use a spatula to spread the rest of the batter over the sides of the spring-form pan. Put pan on its side and spread it, rolling as you go. Quickly set upright and pour filling into the pan. Some of the batter may drip down the sides. That’s OK.
Bake for 30 minutes, or until the filling is firm. Put the sour cream, sugar, and peanut butter and a bowl and beat with mixer until smooth. Three minutes before removing cheesecake from the oven, spread the topping over it. Cover and chill in the refrigerator for several hours, preferably overnight. To serve, loosen sides with a knife and release side of pan.